Impressive results are yours when you choose Allied Construction for your custom fencing construction from Bellevue to Snohomish. Cleanliness, protection of plants, lawn and siding are a top concern during construction or installation. We contract in Bellevue, Redmond, Woodinville and south Snohomish County. Clean, organized and quick while maintaining quality is our first priority for customer satisfaction. We will remove, repair, design and/or build almost any type of fencing or fence accessory you need. Further, cedar fence to vinyl fencing to coated chain link fences we work on them all. Our custom fence designs allow you to create just the structure you need. We can match an existing fence. Furthermore, our fences don’t sag over time! We use only top-quality materials, and our expert fence installers are trained to do the job right. With posts installed in concrete to correct depths and leveled with care so you get a straight, level, beautiful fence every time! Call Allied Construction at (425) 276-7415 to request a FREE quote. 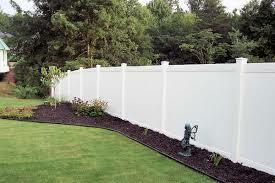 We provide top-quality fence installation in Bellevue, Redmond, Woodinville and Snohomish.